Many travelers remain unaware of programs that help you breeze through airport security and customs. NEW YORK (MainStreet) — Savvy travelers long ago turned back the clock on their airport security experience to breezier, hassle-free days. But for some reason, the masses continue to subject themselves to long security lines, removing shoes, belts and outerwear, and unpacking laptops in order to board a plane. There are a handful of airport security pre-screening programs available to U.S. travelers these days, some of which are finally starting to pick up steam, but they have by no means reached the critical mass that would be expected given how significantly they ease the hassle of traveling. Between programs such as PreCheck, Global Entry, and the privately-run CLEAR, there's little reason travelers should stand in long queues to get on a plane or to pass through customs when returning to the country after a trip. "Everyone in the travel community knows about these programs," says Dena Roche, a luxury wellness travel expert and co-founder of Wellness Travel Media. "But I'm still blown away by the number of people I see waiting in lines at airports to get through security." 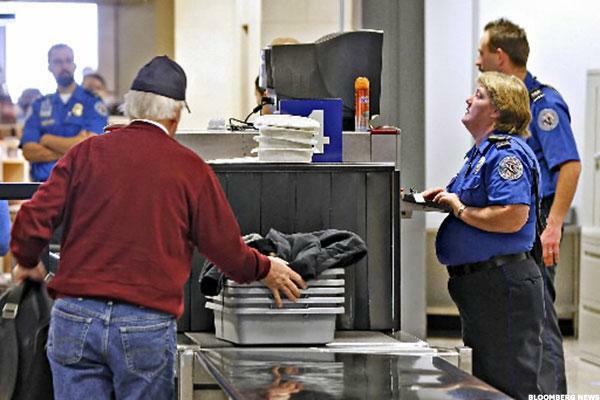 The Transportation Security Administration (TSA), which runs PreCheck, recently announced that the program reached a milestone of 1 million members, but it's been a long climb to that figure. Just last year TSA hired private contractors to manage an enormous membership recruitment effort. The program, which started in 2011 and costs $85 for a five year enrollment, provides low-risk travelers with what is supposed to be a more efficient security screening process at airports. Members do not have to remove shoes, coats or belts when passing through PreCheck security at airports, nor do they have to remove laptops from their bags. This streamlined experience is available at 133 U.S. airports. U.S. Customs and Border Protection meanwhile recently announced that Global Entry, a similar pre-screening program, but one aimed at international travelers, had enrolled its two millionth member. That figure accounts for just 9% of all international air arrivals, according to the agency. But it also represents a nearly quadrupling of participants over two years. In fiscal year 2012, the program had 431,004 members. By 2014 that number jumped to more than 1.6 million. And CLEAR, the privately operated pre-screening program, is steadily working its way back from a 2009 bankruptcy. While not revealing specific figures, the company's new CEO Caryn Seidman-Becker says CLEAR's recent membership growth has been in the "triple digits." Maybe part of the lingering challenge in CLEAR's case is that the program, which speeds travelers through airport security for departing flights, is only in 12 airports and still has not broken into major travel hubs such as Los Angeles, Chicago, Atlanta or New York. But Seidman-Becker says CLEAR officials are focused on changing that. "The goal is clearly to be in international gateways," says Seidman-Becker. "We're working very, very hard and have been, to get into those airports. It's a long sales cycle with those cities. And you have to negotiate on a city by city basis." "This is a company that went bankrupt and it took a while to rebuild the brand," she adds. CLEAR plans to more than double its footprint over the next 12 to 18 months, according to Seidman-Becker. Recent additions include CLEAR lanes in Miami, Baltimore and Las Vegas. Membership in the program costs $179 per year. An additional family member can be added for $50. Children under 18 are allowed to use the CLEAR lane for free when traveling with an adult member. And here's a valuable tip for travelers - CLEAR is currently offering a free two-month trial membership, and participation requires only a simple online enrollment, after which travelers are immediately allowed to use the program. This is a huge bonus, as much of the criticism often associated with joining such pre-screening programs is the time it takes to be cleared for membership and participation, often involving an interview at a local airport. Once travelers have a taste of bypassing long airport lines, it's often hard to give it up, says Seidman-Becker. "Customers love it," she says. "And once they try it, they stay." She compared CLEAR to other modern conveniences. "Would you give up your iPhone to go back to a flip phone?" Global Entry kiosks are located in 42 U.S airports. Global Entry is a trusted traveler program that provides expedited clearance for pre-approved, low-risk travelers upon arrival in the United States. In other words, membership in this program allows you to skip those annoyingly long customs lines, when you are already bleary eyed from a long journey. An added bonus of Global Entry membership, which costs $100, is that it makes you pre-eligible to participate in PreCheck. Translation - for a mere $15 more than you pay for PreCheck, you get both program memberships. It's $15 well spent, says Benet Wilson, a journalist who has covered aviation since 2006 and serves as the air travel expert for About.com. "If you make just one international trip, it pays for itself," says Wilson of opting to join Global Entry for the additional fee and scoring membership in two programs as a result. For those who remain skeptical, Wilson relates precisely how much time membership in the expedited customs security program has saved her during airport visits. "I usually travel through Washington Dulles, where a lot of international flights arrive at the same time, so you have all these large planes dumping hundreds of people at once," says Wilson. "With global entry, you go through a separate gate, you stick your card in, and you hand in your slip of paper. I timed it. I got off a plane at 3:30 one time and by 4:10 I was in my car. And every trip I've taken since then has been much shorter." Still other frequent travelers relate similar stories. Paul Eschenfelder, a former Delta Airlines pilot who now travels regularly as a lecturer, says anyone who travels, even if it is only domestically, should consider these pre-screening programs. During a recent trip abroad with friends, who did not have Global Entry membership, Eschenfelder was reminded once again why the membership can be worthwhile. "My wife and I got out of customs and waited for our friends who did not have Global Entry for something like 20 to 25 minutes," he says. "We could have been halfway home by then." "There are thousands of people standing in these lines," he adds. "While it's true that for some people who don't travel very much, it may not be worthwhile, my wife always says it's the best $100 she has ever spent." Still none of the programs are perfect, receiving mixed reviews from some travelers. Some of the cons says Channon Dade, host of Life Travel Lessons, is that you cannot bring family members traveling with you through the PreCheck line if they're not members. You also need to have a squeaky clean background, Dade adds, noting a family member with a 28-year-old misdemeanor was denied membership in Global Entry. But in the end, for many, the pros outweigh the cons. Roche likens membership in these programs to a poor man's travel luxury. "Maybe you can't afford a business class seat on the plane, but you can breeze through security for the cost of just $100 for five years," she says. "It makes the whole airport experience slightly less annoying. Let's face it, there's nothing glamorous about traveling. It's not fun. It's stressful. If you can breeze through security, it's going to lessen the amount of time you have to be at the airport and leave you in a slightly better mood."